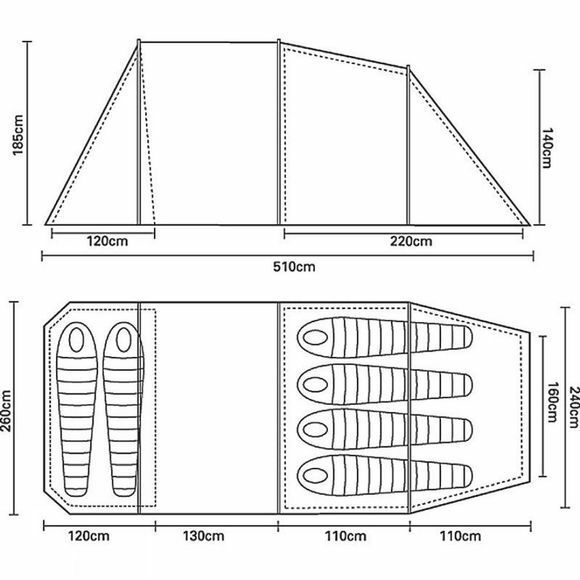 The Hoolie 6 Tent offers a huge amount of space for its weight and pack size. It comfortable sleeps 6 people yet weighs just 6.75 kilograms. This is ideal for families looking for a tent they can easily fit in the boot of a car for weekend or shorter duration forays. There is also the option of sleeping four people and using the second bedroom for extra living or storage space ideal for boots, rucksacks. In addition to the space, the tunnel design also makes it quick and easy to pitch. 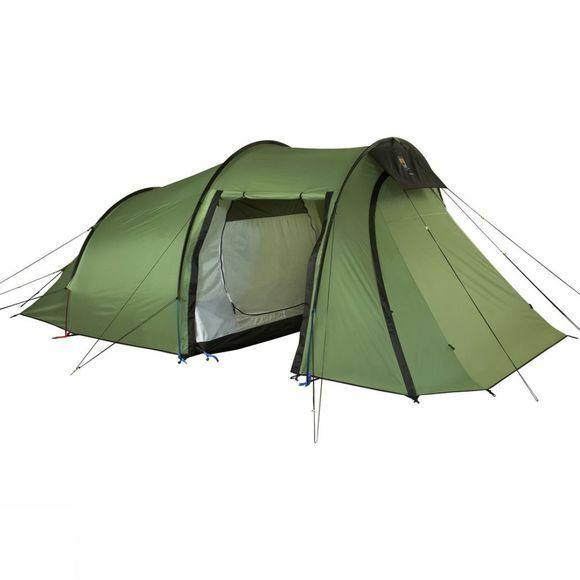 The inner is attached to the flysheet, so the tent pitches as one, and it has colour-coded poles to help novice campers locate the poles in their sleeves. This six-person tent features mesh vents to manage condensation. It uses reliable lightweight Superflex alloy poles and tried and tested Wild Country, high performance flysheet and groundsheet fabrics.